We are leading manufacturer, supplier and exporter of Concrete Concentrate and CLC/ CLC Concentrate. Cellular light Concrete (CLC) is composed of sand, Portland-cement, water and foaming agent to make the concrete light, evenly porous. The CLC bricks/blocks are having multiple features some are provided here. Compatible with all kinds of aggregates, fillers etc. Saving in Raw Material, transportation etc. 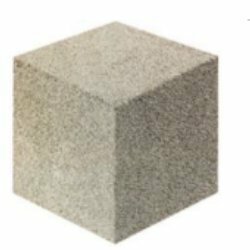 We offer a special type of Foam Concentrate used for making efficient light weight concrete (CLC). The foam produced with IFP CLC concentrate is highly stable and suitable for use in making the concrete slab. It is biodegradable and non-toxic. Compatible with any type of sand, water.